Better late than never - and Bistan was pretty close to "never." I'm really happy Bistan got out as a special thing, as everybody deserves a cool new alien space monkey action figure with a new Stormtrooper. Read on! One good droid deserves another - the BB-8 (Droid Factory Line Look) is a newish mold! He's bigger than Hasbro's, but the deco is different - not better, not worse. Neither seems truly superior, but this one is bigger and a little bit more adorable thanks to the eye seeming to have more life in it. Read on! 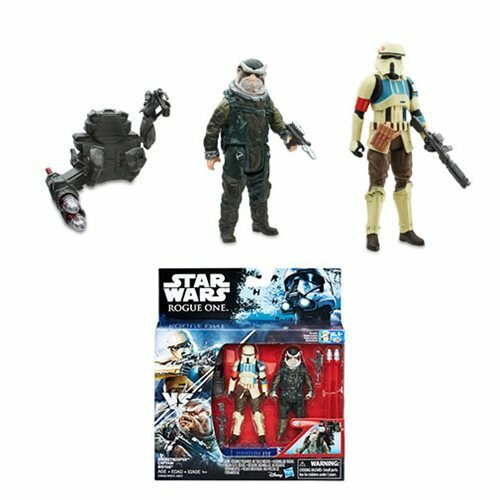 Amazon's new exclusives are here early! Amazon's Star Wars The Black Series Elite Praetorian Guard (with Heavy Blade) has a unique helmet and two distinctive weapons you won't find in other exclusives or the individual figures. Grab yours here. 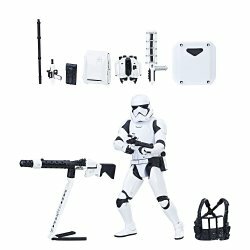 The Star Wars The Black Series First Order Stormtrooper with Gear includes a figure with a new helmet for The Last Jedi in addition to some new and previously seen accessories like the riot baton, riot shield, ammo pouch, jet pack, and more. Click here to order it. 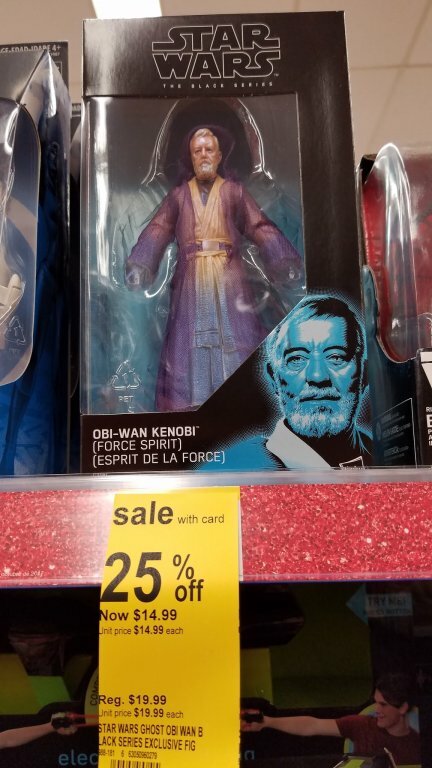 Not from Hasbro! 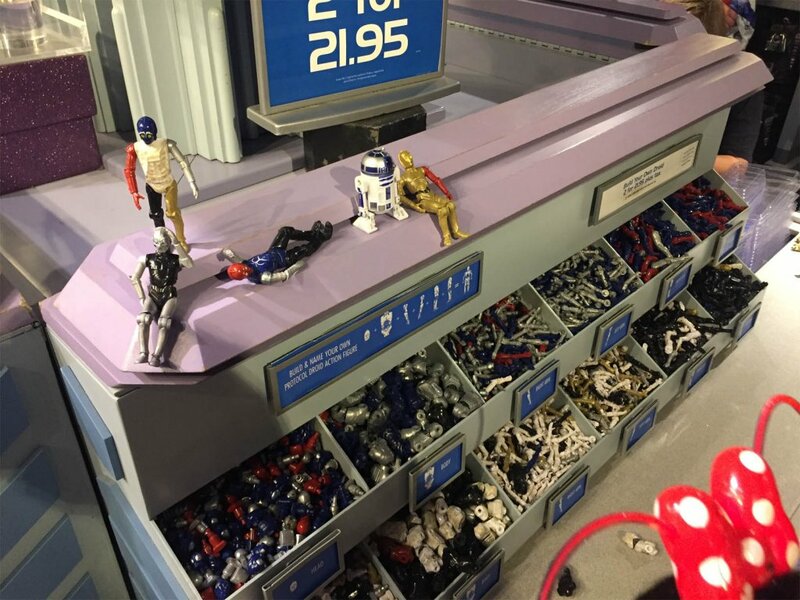 Disney's 2BB-2 (Droid Factory Line Look) is pretty slick and, for some reason, have the lettering backward. Go figure. It's a neat robot that looks kind of like a globe of Earth. Read on! You may have seen big displays of these in September, and now they seem to have dried up. But why? The Darth Vader (The Black Series, 6-Inch, Centerpiece) lights up and has places to put Stormtroopers while the Sith Lord tears down this wall. It lights up, too. Read on! 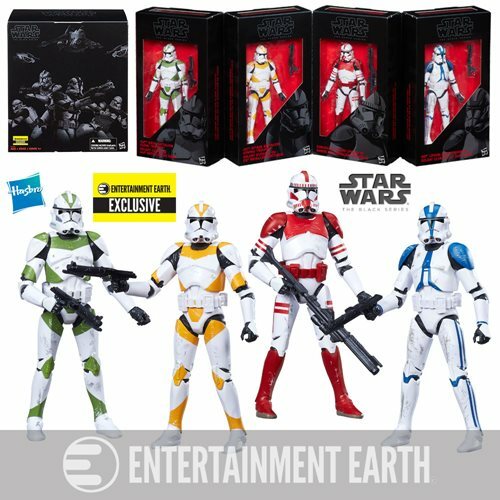 Ad: Order Star Wars: The Last Jedi Orange Action Figures Wave 2 Set from Entertainment Earth! 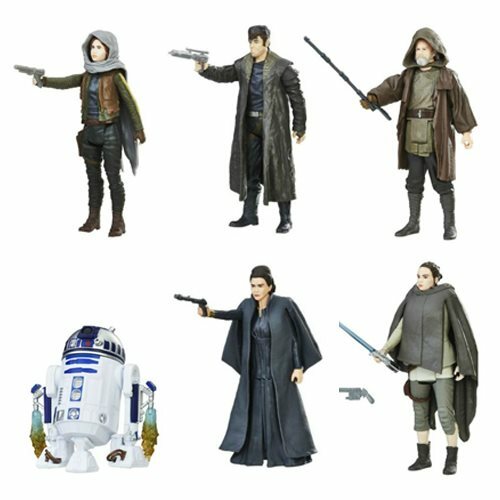 DJ, a new Luke Skywalker, a new Rey, R2-D2, Jyn Erso, and a new General Leia are in stock now and US orders of $79+ ship for free! 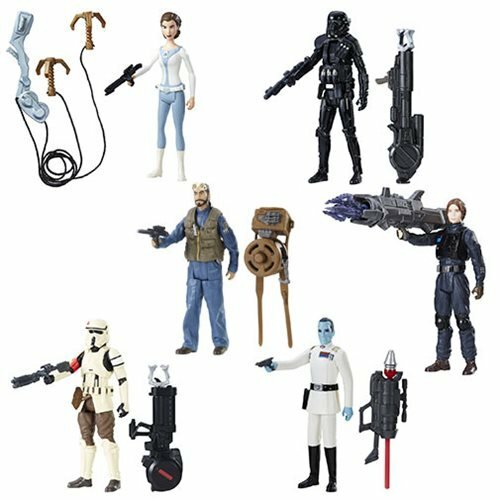 These 3 3/4-inch action figures will go great with Bistan, Thrawn, and other hot arrivals at Entertainment Earth. 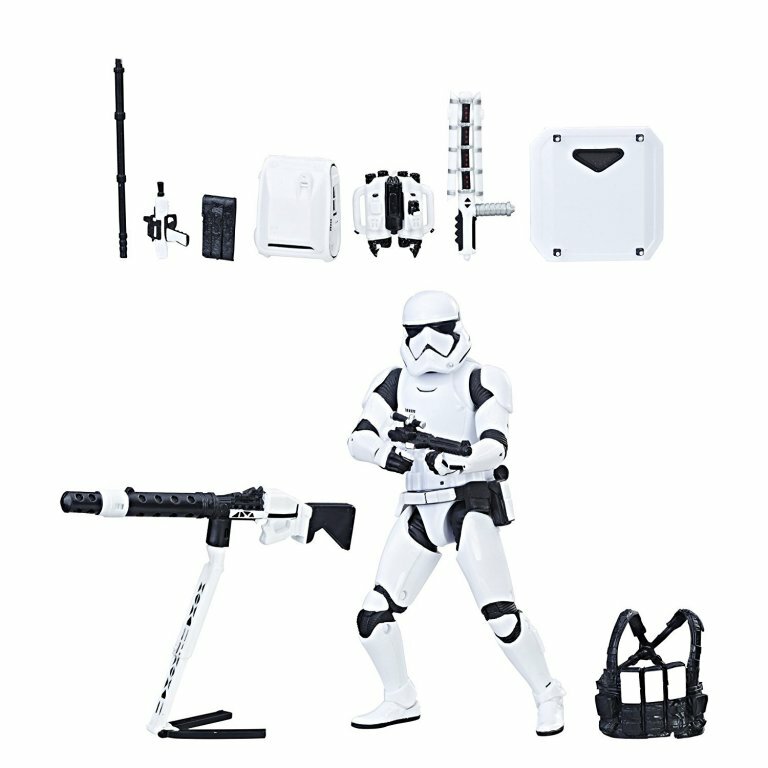 The new Kylo Ren is a 3 3/4-inch figure available in multiple configurations - this one is sold carded, with a cape, and has a painted scar on his face. It's probably the best of these, unless he's also going to come out with the "space bandage" we saw in the movie trailer later. Read on! 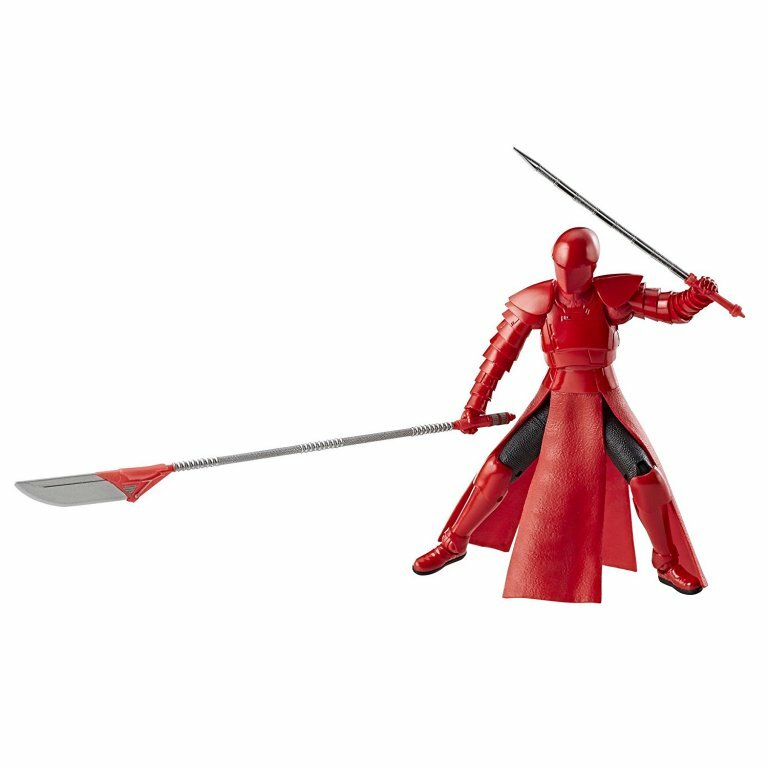 Possibly at a Walmart near you, the Elite Praetorian Guard (The Black Series) 3 3/4-inch figure is pretty cool - but looks different from the other ones. The cloth robes allow for full leg movement, and the arms are nicely jointed. Read on! What's kind of fascinating in the Disney era is that most figures look better than ever. Great sculpting and top-notch detail are the norm with very few exceptions, and this Yoda from the CG prequel design is possibly the very best one we've ever seen on that design. The eyes have a subtle outline, the shoulders are able to move outward, plus he has both a cane and a lightsaber. It seems like this is the figure most likely to sell out too - so get one if you see it. Read on!